Inventive healthcare enterprises are getting big funds from private equity firms and venture capitalists. These funds are helping in generating new opportunities for entrepreneurs and creating quality healthcare services accessible to majority of Indian population. The growing demand for sophisticated healthcare services invites investors and offers huge scope to entrepreneurs with innovative ideas. The sector has seen a rise in investment from $0.46 billion investment in 2011 to around $1.3 billion in 2012. The Bain and Co.’s ‘India Private Equity Report 2013’ reveals that the sector has emerged as the best sector for PE investments in 2012. Ameera Shah, MD and CEO, Metropolis Healthcare, says, “The Indian healthcare market is highly fragmented and underserved sector dominated by local players. It is expanding rapidly with tremendous entrepreneurial initiatives in various sub-segments. It is attracting PE players for investment and picking up the pace.” Metropolis healthcare has received up to $85 million from Warburg Pincus in 2010 and expanded its network worldwide. The report says, 46 deals were made across the sector in 2012, and the number is the double of previous year investments with biggest deal up to $40 million. Report confirms that it is the third largest sector accounting for 12 per cent of the total deal value attracting PE investments in last year. The whole healthcare industry is valued at $65 billion in 2012 and has been estimated to reach about $280 billion by 2020. Talking about the growth proportion of this industry Badri Krishnaswami, Executive Director Finance, Global Hospitals Group, says, “With the increasing demand of quality healthcare services, the sector offers a huge scope for aspiring entrepreneurs. It is growing with 20 per cent growth rate every year, so we are planning to expand our facilities.” Global Hospitals Group has specialised hospitals across India. Krishnaswami says that IFC and Sabre Capital are going to invest more than Rs 220 crore in Global healthcare this year. Earlier, the group has acquired funding from Everstone Capital for expansion and development. There are very few sectors in India, which are driven by need and not by want and healthcare is one of them. Shah says, “The inherent ’need-driven’ nature of the industry makes it a rapidly growing industry.” The patients’ aspiration for sophisticated healthcare treatment is rising with the increasing sources of disposal income. Increasing population and fast changing lifestyle are making this sector a money-spinning opportunity for investments. Krishnaswami says that the current life trends and advantages of high manpower, lower cost and sophisticated treatments are making this sector lucrative and drawing attentions of foreign investments. As per Bain & Company Inc. reports, factors like growth of population, increasing lifestyle diseases, rise in insurance culture and increased disposal income are propelling this sector. Concurrently, PE firms outline the growth reasons, “As several healthcare firms want to expand their facilities, and we are providing them fresh capital for their expansion and growth.” They conclude that the overall healthcare industrial development is still in the nascent stage, making it a prospective market and we are ready to betting huge money in it. Additionally, there is an increasing level of awareness and availability of information. This phenomenon is bridging the accessibility gap from both ends – information and service availability. In healthcare, tremendous business opportunities are emerging for entrepreneurs. There are traditional healthcare centres, pharmaceutical, labs, drug development and biotechnology segments with full of opportunities. Many entrepreneurs with innovative ideas are leading the way for the growth of this sector. Initially, PE firms focused only on the generic healthcare units and pharma companies, but today there have been a number of emerging segments for drawing investments. According to Krishnaswami, segments like pharma, hospitals, diagnostics biotechnology and medical equipment have attracted big investments in last year. PE firms are looking at research and development units a very lucrative future market and are investing a handsome amount for good returns. Moreover, hospital units like eye care, oncology, orthopedic centers, fertility clinics and daycare surgeries, cardiac and cancer clinics are new emerging segments. According to Gurtej Singh, CEO, Ivy hospitals, recent trends has been favouring service providers especially super-specialty services and entrepreneurs who have clear vision with good ideas are fast attracting attention of venture capital and PEs. Recently, Ivy hospital has received Rs 70-crore investment from a global Private Equity fund based out of Europe. Speaking about the use of this investment, Singh says, “With this investment, we will set up more hospitals in North India and make treatment accessible at Tier II and Tier III cities.” Tier II and Tier III cities’ healthcare services are attracting investors but lower income rank and delay in margin turning them to invest in revolutionary business ideas. In addition, investors are focusing on single discipline and specialised fields as they are more capital intensive. 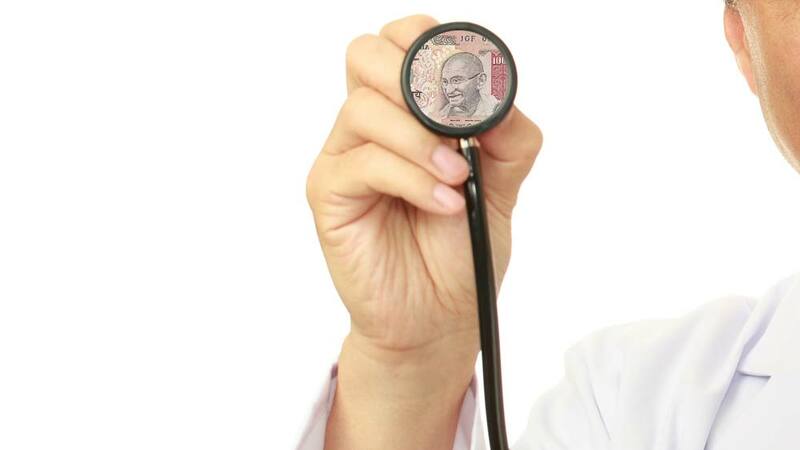 Recently, a number of significant investments have been made in Indian healthcare industry. Goldman Sachs Group Inc, Sequoia Capital, Warburg Pincus LLC, and the Government of Singapore Investment Corp have invested more than $500 million for the development of India’s basic healthcare. • Spice Global invested Rs 400 crore to launch multi-specialty Saket City Hospital in New Delhi. • Medical Research Foundation of Sankara Nethralaya and Sri City have joined hands to establish an eye care hospital and research facility in Chennai. • DM Healthcare, a Dubai-based healthcare major, plans to invest Rs 2,300 crore in Kerala over a period of three years. • Fortis Healthcare International plans to sell its 64 per cent stake in Dental Corporation Holdings Ltd, Australia, to UK-based Bupa for $284.62 million. PE firms are ready to fund small-and mid-sized healthcare facilities and attracted by those enterprises that are trying to create a niche for themselves in healthcare segment. The government is also spending on healthcare by launching schemes like Aarogyasri, which provides insurance coverage and contribute for the growth of this sector. Rice is more than just a commodity..
Government Made Funding Easy For MSMEs..